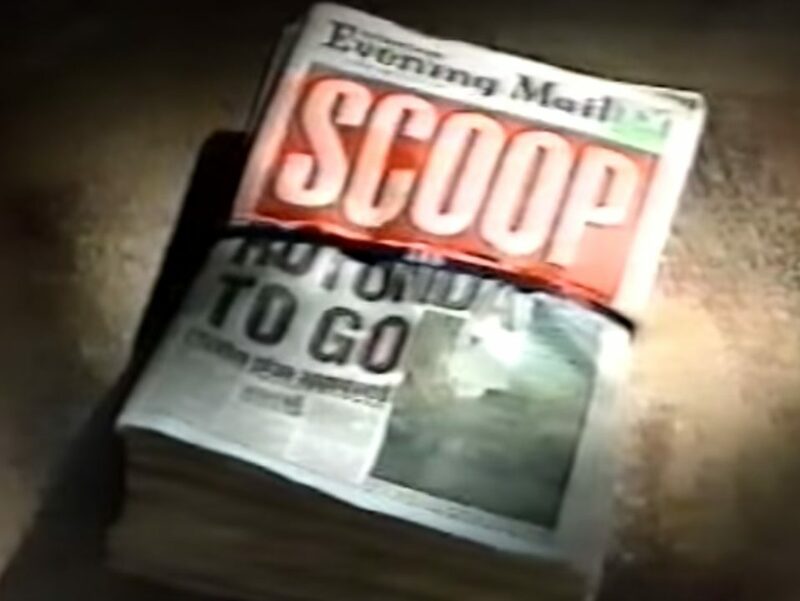 A clip from an unseen fly-on-the-wall documentary about the Birmingham Evening Mail in 1993 has emerged online, showing a bustling newsroom full of people. The 25-minute video is a preview of Scoop, which was never broadcast, and offers a glimpse into a day in the life of the news team as it works on stories for the daily paper. It was unearthed in a clear-out by former Evening Mail reporter Paula Whittingham, who also features in the video, and posted online by her partner and fellow ex journalist Mark Langford. Langford, who joined the Evening Mail a few months after the documentary was filmed, told Press Gazette: “To see the old newsroom again in all its glory was fantastic. He added: “Seeing the film for the first time was great. At the time you hated it, but looking at it now you think: ‘God yeah, that was a place to work’. The newsroom, which Langford said was known as the “fish bowl” because it was surrounded above by a walkway, was based at Colmore Circus in the heart of Birmingham City Centre. It was home to the Evening Mail, Birmingham Post and Sunday Mercury (as well as the printing press) but was later demolished and the teams moved out of town to a new home in Fort Dunlop, Birmingham. In the clip reporters are sent out to get interviews for stories and take breaking news calls on the phone while some in the office can be seen smoking inside. News editor Ian Sangster (who died in 1999) can be seen reading copy in green text on a small computer monitor in the film while editor Ian Dowell sketches out the back page lead. 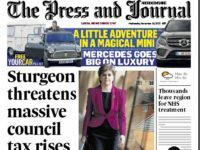 In perhaps the greatest sign of the changing times, the Evening Mail is said to have 200,000 “faithful readers” in the documentary, but today has a circulation of just over 18,000 (ABC figures to July). The film shows reporter Joan Smith begrudgingly covering a “soft piece” story about a local women’s rugby team who dressed up as nuns to smuggle drink into the stands at a Sevens match. After interviewing the team, Smith tells the camera on the drive back to the office: “It’s when you actually put your fingers on the [car] keys that you make up your mind about [a story] completely. “If it’s what you term really hard news then hard news writes itself. The easiest thing in the world to write is a bloody good story because a bloody good story needs no writing, it glares you in the face. Photographer Andy Fox is sent out to photograph a man who had his ear bitten off in an attack, phoning the picture desk to see if it is needed for the next edition. He said of the job: “You do get to see the best and the worst of life – sometimes in one day. “You can go from doing a horrific road accident or a siege of something like that and then, say this afternoon, you do something – like we are doing a deaf kid who has been deaf since birth and he regained his hearing at the age of nine. Meanwhile reporter Andy Comber has found the mother of a young girl who was run down in a road accident after knocking doors and later speaks to an ex-prisoner about a police corruption story. Editor Dowell praises Comber for finding the human interest angle in his report on the injured girl. He is later on his way to watch Aston Villa take on Blackburn Rovers in the inaugural FA Premier League season with high hopes. “What we like about soccer is that it sells newspapers,” says Dowell. “It’s reaching emotion. I have been to many big football matches and I have seen grown men cry. Anything that makes grown men cry is good for newspapers. “The Evening Mail’s success this year is allied very much to the success of Aston Villa. If Aston Villa could be the first premier league champions, it could mean extra sales of more than 100,000 for the Mail in the next two or three weeks. Bloody brilliant film. I was at the Post and Mail from 1987 to 97 and it really sums up how fantastic the last great days of regional newspapers were, though you didn’t always thinks so at the time, thanks to the bollockings and having to work at such speed for multiple editions without the aid of mobile phones and other technology we now take for granted. Oh, and the office was chock-full of great characters too, Happy (mostly) days! Did you need counselling when you saw that bit?